Sujatha Hampton has a doctorate in Special Education from The University of Texas at Austin and was a school teacher, a college professor, and most recently an educational administrator for the Albemarle County, VA public school system. She left her 15 year career in education to write As It Was Written, which is her first novel. Before all that , she was a construction worker on the pipe laying crew on Afton Mountain, the Cool Ranch Dorito girl in the Charlottesville Superfresh, the clerk at the Ivy Landfill, and an aerobics instructor back when it was really cool to be an aerobics instructor. She lives in Great Falls, VA. Visit her website here. 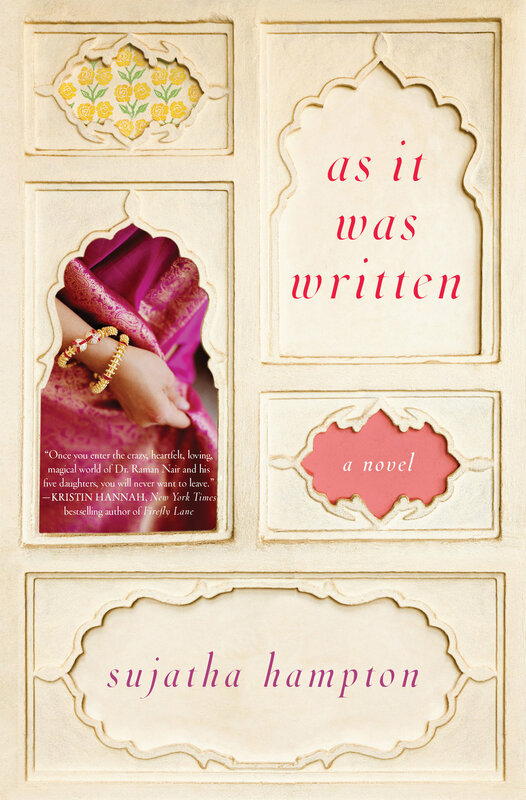 The epic journey of an Indian-American family which unfolds when men and women, Hindus and Catholics, histories and curses, collide. In McLean, Virginia, Dr. Raman Nair lives a life of abounding satisfaction with his tiny wife, Jaya, and his harem of enormous and beautiful daughters. He has been away from his native Kerala, India for so long that he has happily forgotten the ancient Brahmin curse that follows his family like a black cloud, killing one girl for love in every generation. But his wife hasn’t forgotten, nor has his baby sister, Gita. Suddenly his daughters are up to no good and Dr. Raman Nair doesn’t know which way to turn. As It Was Written marks the arrival of a wonderful new voice in fiction, and a storyteller of the highest order.